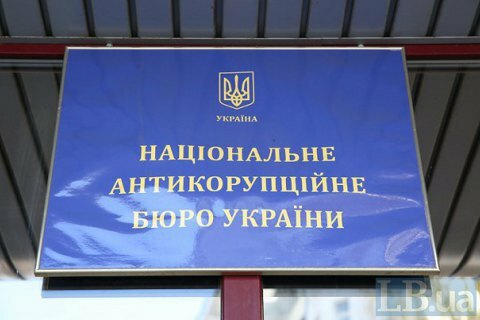 Before that, a package of measures was developed to overcome the standoff between SAPO and NABU, and Prosecutor-General's Office. Interior Minister Arsen Avakov, former Prime Minister Arseniy Yatsenyuk, and Verkhovna Rada Speaker Andriy Parubiy discussed with the US Ambassador to Ukraine Marie Yovanovitch a plan to resolve the situation around the National Anti-Corruption Bureau, the Specialized Anti-Corruption Prosecutor's Office and the Prosecutor-General's Office. Interior Minister Avakov on Thursday, 7 December confirmed the fact of the meeting to reporters. "Yes, [there was a meeting with Yovanovitch ]. But before that, after the meeting of the Popular Front faction, the faction council was convened and a package of solutions was developed to overcome the crisis, related to the criticism, violations and claims to the SAPO and NABU on behalf the Prosecutor-General's Office," Avakov said. He said the meeting with the US ambassador was held on the initiative of himself, Yatseniuk and Parubiy. "At the meeting we, considering an unhealthy atmosphere and speculations around the anti-corruption bodies, informed the ambassador about our comprehensive plan to address this situation. Firstly, the speediest appointment of reputable auditors to NABU. Secondly, an ASAP start of procedures for the establishment of the Anti-Corruption Court. And thirdly, the inadmissibility of politicization of anti-corruption bodies and the associated package of measures," the minister said. Such a package of measures, he said, did not envisage the support of the previously introduced bill limiting the independence of NABU, SAPO and the National Agency for the Prevention of Corruption. "Marie Jovanovic and a number of other foreign partners were duly informed about that," Avakov stressed. "Late in the evening we met with President Petro Poroshenko, who supported the position of People's Front," Avakov added and added that Ukraine is "not a computer game where you can reboot after errors," but a country in which everyone needs to act responsibly.